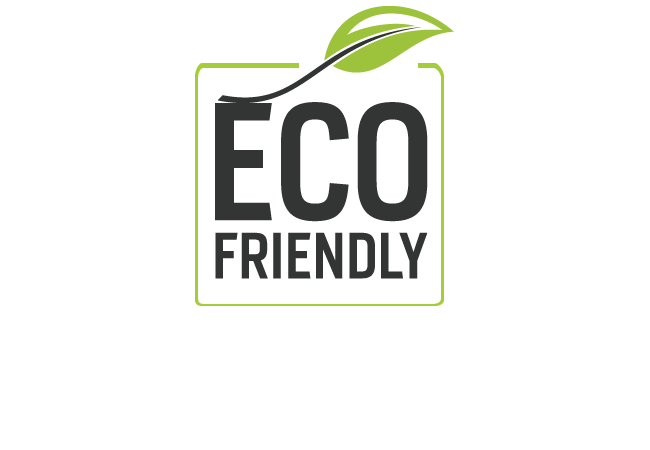 All the water based polyurethanes we use are non-toxic, biodegradable, coatings are UV stabilised which means they are non-yellowing. 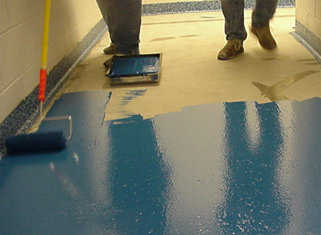 Epoxy Resin Flake Flooring is durable and an excellent alternative to bare concrete floors. Add flakes to create a unique look. Easy to clean, non slip and hygienic, offering superior resistance to forklift and pedestrian traffic as well as chemical spills. Waterborne polyurethanes have been on the Australian maket for over 10 years. The earlier products gave a beautiful finish but did not have the ‘wearing’ capabilities of some solvent based finishes. Bonatech Mega is a completely new waterborne finish developed by Bonakemi that is a 100% polyurethane and is comparable to premium solvent based finishes for ‘wear’. The key to Bonatech Mega’s performance is the oxygen cross-linking system based on a special type of polyurethane. Oxygen cross-linking in itself is nothing new, linseed oil, which was commonly used to finish floors in the past actually cross-linked with air also, but it dried slowly and had no resistance to wear. 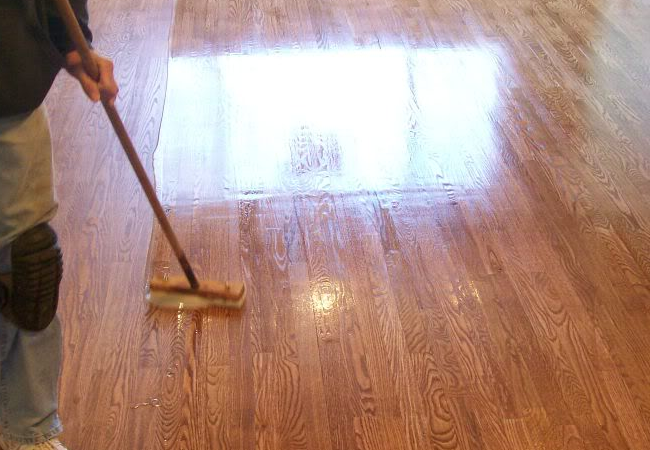 Bonakemi managed to incorporate another type of vegetable oil into a polyurethane particle in order to achieve all the properties a modern finish should have. The polyurethane in Bonatech Mega actually contains 25% vegetable oil based on the dry matter content. Bonatech Mega is a major advance in finishing technology. It is based on a new type of polyurethane combining the best of traditional finishes with the best of modern science. 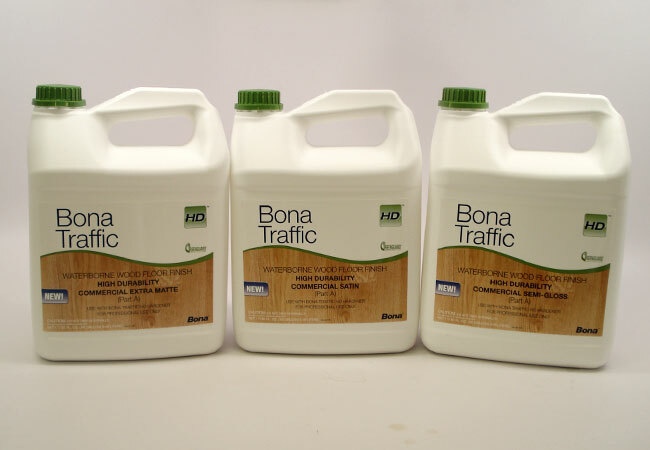 Bonatech Mega offers a result comparable to a premium two-pack solvent based finish but in a waterborne sytem containing vegetable oil. Waterborne polyurethane products have less impact on the surrounding air than solvent-based products. They are the right choice for the environmentally-concerned consumer. There is virtually no odor and you can continue to live in your home with the minimum amount of disruption. for up to 12 months. The high levels of solvent fumes with these products are a health risk. See “Dangers of Solvents”. Cross linking with air: what exactly happens? What do plexiglass, the plastic shell around a computer and Bonatech Mega have in common? The answer is they are all polymers. 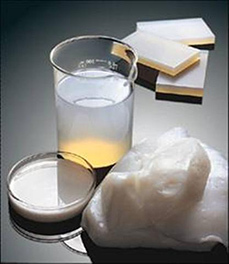 Bonatech Mega is a dispersion of polyurethane particles floating around in water. Each particle consists of millions of molecules of polyurethane polymer. When Bonatech Mega dries, the water evaporates and the individual particles glue together to form a tight film on the surface of the wood. As the water evaporates, air enters and reacts with part of the polyurethane, namely the components derived from vegetable oil. Oxidation occurs and a strong bond is formed between these components. This is oxygen cross linking. placed in busy university hallways where they were subjected to a steady stream of heavy traffic including students with rollerblades, bicycles, skateboards and pets. Over a six-month period, in excess of 400,000 people were recorded by electronic counters. That is roughly equivalent to 10 years of normal wear in a residential kitchen. The results? In terms of wear, scuff, scratch and chemical resistance, and visual appearance, Bonatech Mega outperforned all the solvent-based and waterborne finishes. Solvents attack the central nervous system and after a long period of exposure affect memory and personality according to Dr. Anneke Weme. Their experience and other medical studies indicate that exposure to high concentrations of solvents can be harmful to health. The harmful effects develop in three progressive stages. 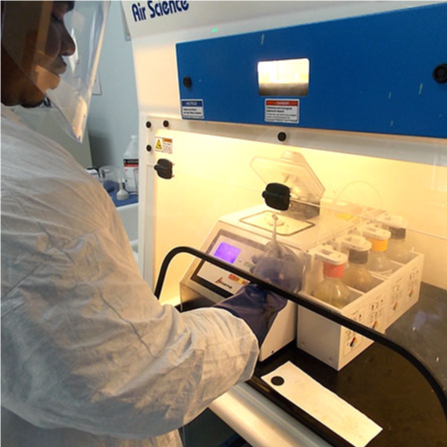 Firstly, mild exposure to solvents gives only mild symptoms: feeling tired, difficulty in concentrating, a tendency to becone irritated more easily and sometimes mild depression. In the second stage due to longer exposure to solvents, tiredness is more pronounced and short-term memory begins to suffer. People are forgetful by nature. Most of us sometimes forget names or what we have just done or are about to do. That’s normal. However, solvents make the problem worse. For example, sufferers may forget the way to a relative’s house even though they have driven there many times. They also become more irritable and moody. The most advanced stage is the worst. A permanent change of personality can occur. People lose their inituative and may suffer from severe depression. They don’t have so much life in them as before. Life feels empty. As the nervous system is affected by solvents, reactions become slower and less coordinated. As knowledge of the effects of solvents has incresed, medical experts have given this serious condition a name. It is categorised as a disease of the brain called chronic toxic encephalopathy (CTE). It affects the nervous system and is caused by exposure to toxic chemicals. It should be added that solvents can also give other problems, eg. allergic reactions, eczema and even asthma. Dr. Anneke Niewe Weme, is part of a team of two doctors who run an occupational health consultancy in the Netherlands dealing with problems caused by solvents in the workplace.